Dubbed the Swamp Dawg, this multi-faceted drum is a versatile addition to the Full Range series. The deep 8x14 mahogany shell, when tuned low, creates a swampy, dark, throaty, low-fi timbre reminiscent of historic recordings from the 1970s. At mid and higher tunings, the Swamp Dawg cuts with saturating attack and full body. 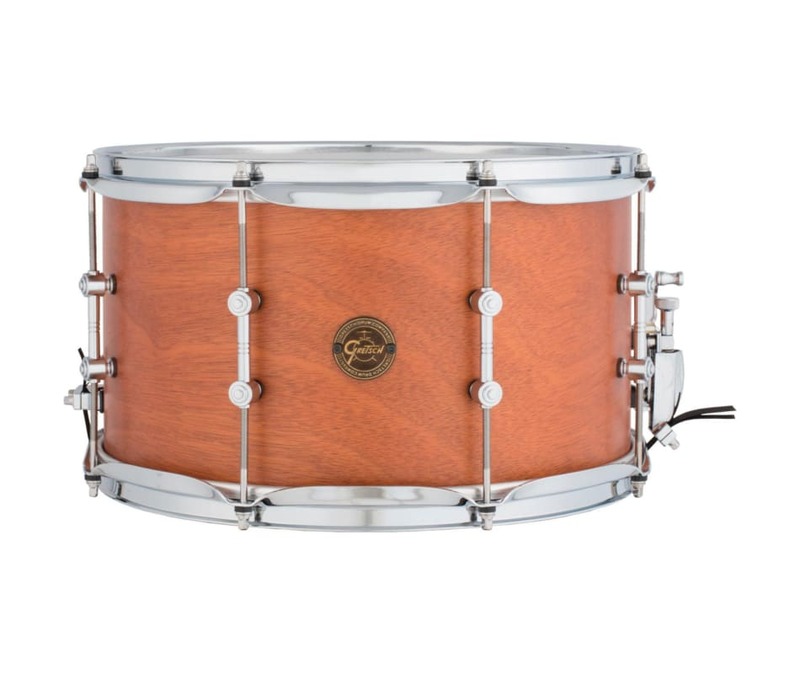 The 6-ply mahogany shell, 8 tube lugs, and triple-flange hoops work together to let the drum open up and breath while the 42-strand snare wires and double-ply, coated Remo Emperor batter head give the drum extra bite and playability.